Friday Night—Logan County Tournament—high school team shot 7th overall. Saturday—Christ the King Tournament—high school team shot 4th overall with a team score of 3,149 which is their best one of the season. This score will determine if the team advances to the state tournament later in the week—fingers crossed! Saturday—Hopkinsville---middle school team took 1st PLACE OVERALL! Coach Jeramy Rust also reported that several of our students shot their personal best times this weekend. Congratulations to our Panther Archers! The Russellville Middle JR. 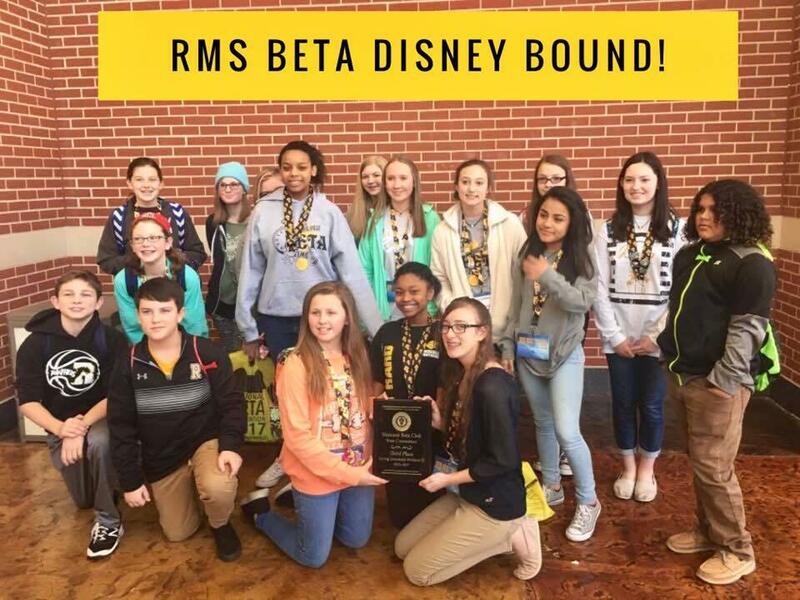 BETA Club traveled this past week to the state Jr. Beta Convention in Lexington. 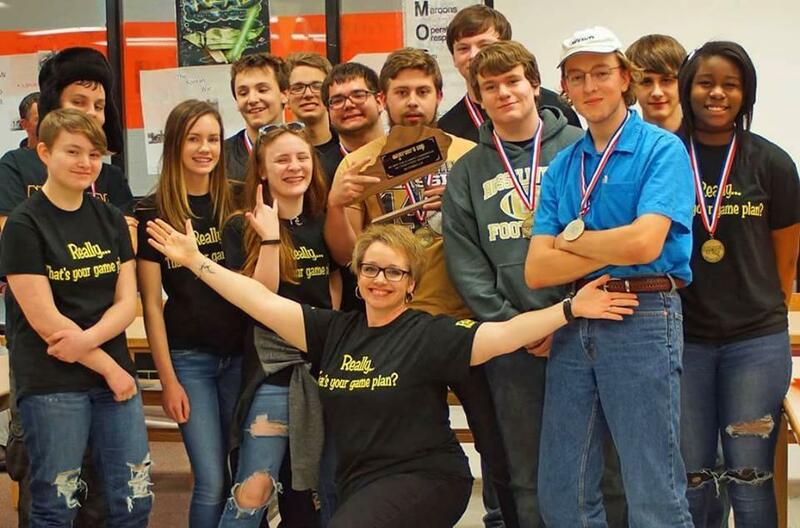 We are pleased to report that the Living Literature Team—pictured---won 3rd place overall and the right to compete at the National Convention in Disney World this summer! 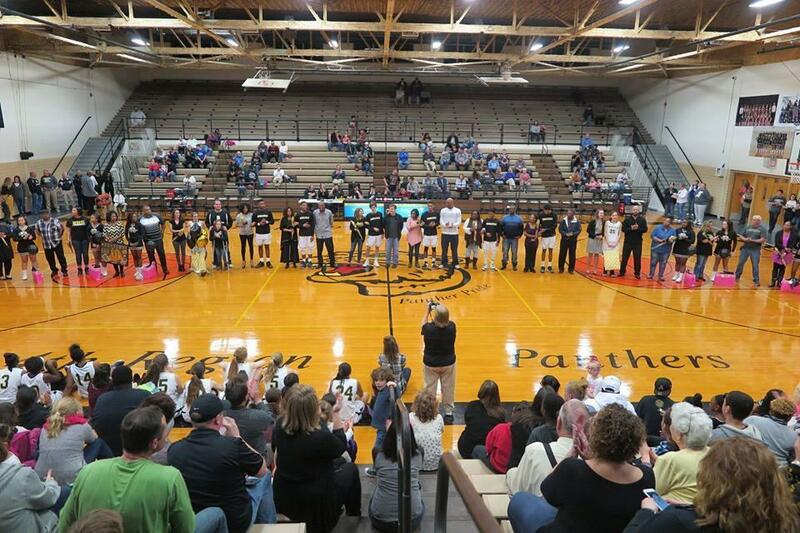 On Friday night, our senior basketball players and cheerleaders were honored during the last home game of the season. We also honored Coach Roger Daniel for his years of many service to our school and our programs. Coach Phil Todd was also honored and coached his last game in the Jim Young Gymnasium. We wish Coach Todd many happy years of “full” retirement and hope that he enjoys his time with Dr. Jenny Todd and their daughter, Olivia. Thank you, Coach, for all that you have given to us over the years. Current Lady Panther Loreal Cheaney and a former Lady Panther, Kahlia Hampton, were also honored by becoming members of the 1,000 Point Lady Panther Club. Both of our teams will be in action on Tuesday night during the 13th District Basketball Tournament at Franklin-Simpson High School. • High school GT students meeting in auditorium during AA.